Savvy Spending: Free Bloomin' Onion with any purchase today at Outback! 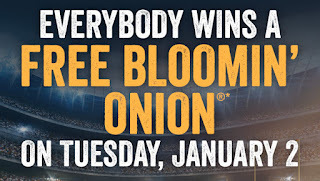 Free Bloomin' Onion with any purchase today at Outback! 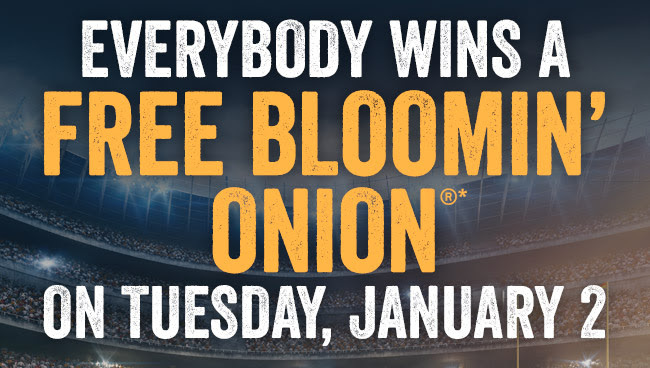 Today only, you can get a FREE Bloomin’ Onion with ANY purchase at Outback! Just mention “Outback Bowl" to your server. Note that this promotion is for dine in only.